Badger gray long-sleeve t-shirt. 94% polyester / 6% spandex. 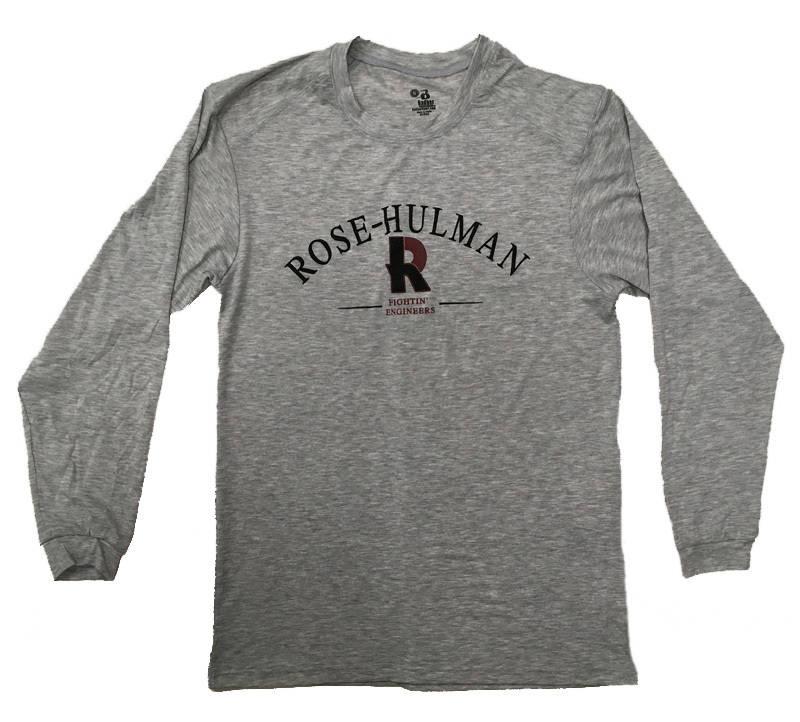 Arched "Rose-Hulman" over "R" over "Fightin'/Engineers" screen printed on chest. Please select option for Badger Long Sleeve T-Shirt. Ladies Cardigan Sweater. 52% polyester, 45% rayon, 3% spandex. 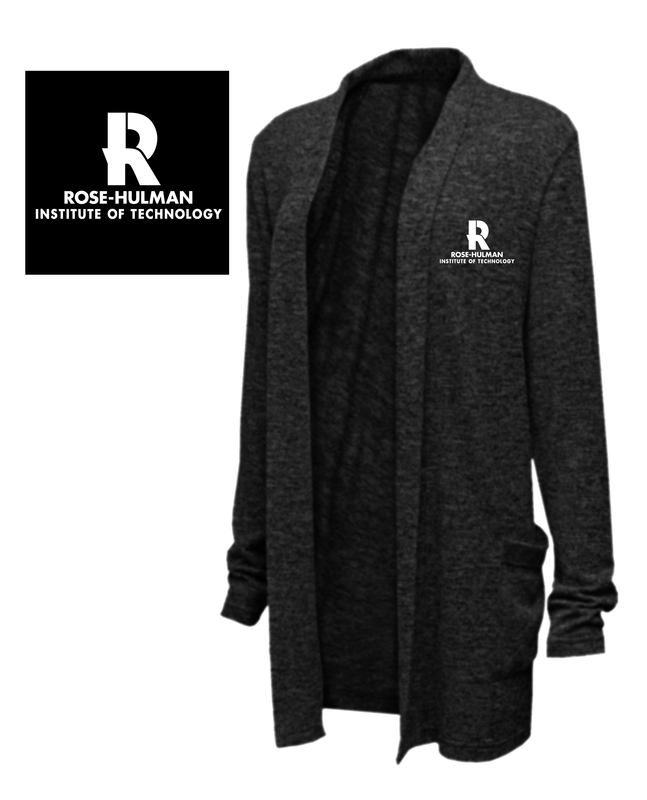 Embroidered "R" over "Rose-Hulman" over "Institute of Technology". Please select option for Baw Cardigan Sweater. Clearance - Original Price $32.99 - While Supplies Last - Camp David lightweight hooded shirt. Body: 100% cotton. 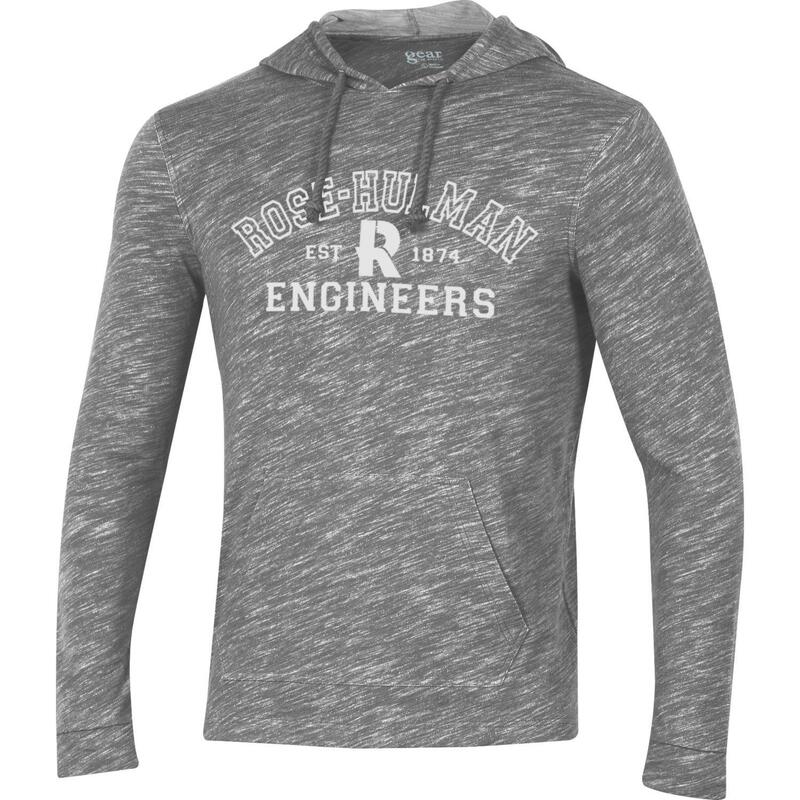 Hood / sleeves: 60% cotton / 40% polyester. 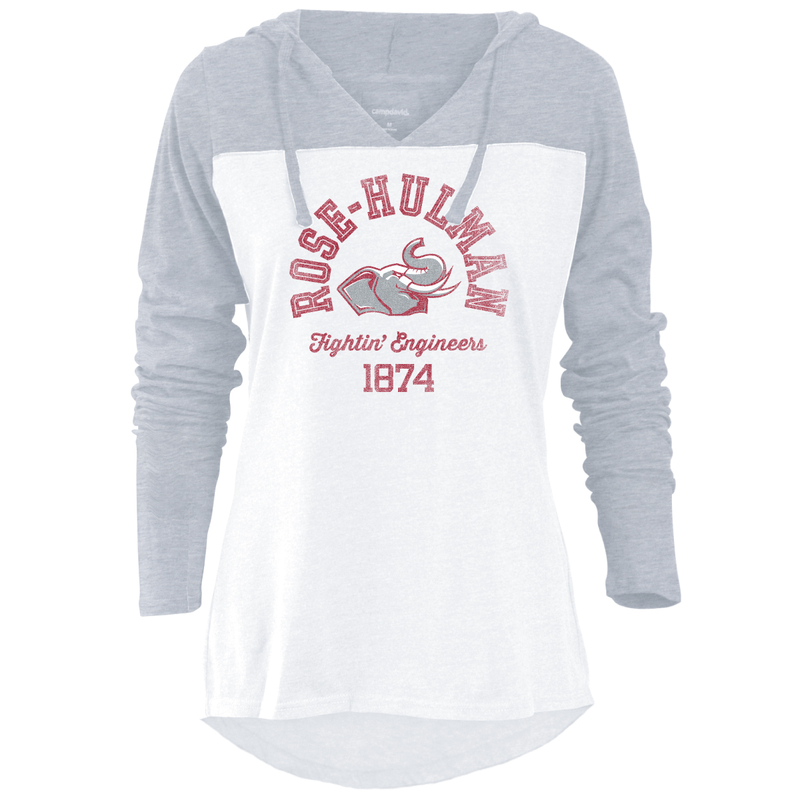 "Rose-Hulman" arched over Rosie over "Fightin' Engineers" over "1874" imprinted. Please select option for Camp David Two-Tone Hooded Shirt. 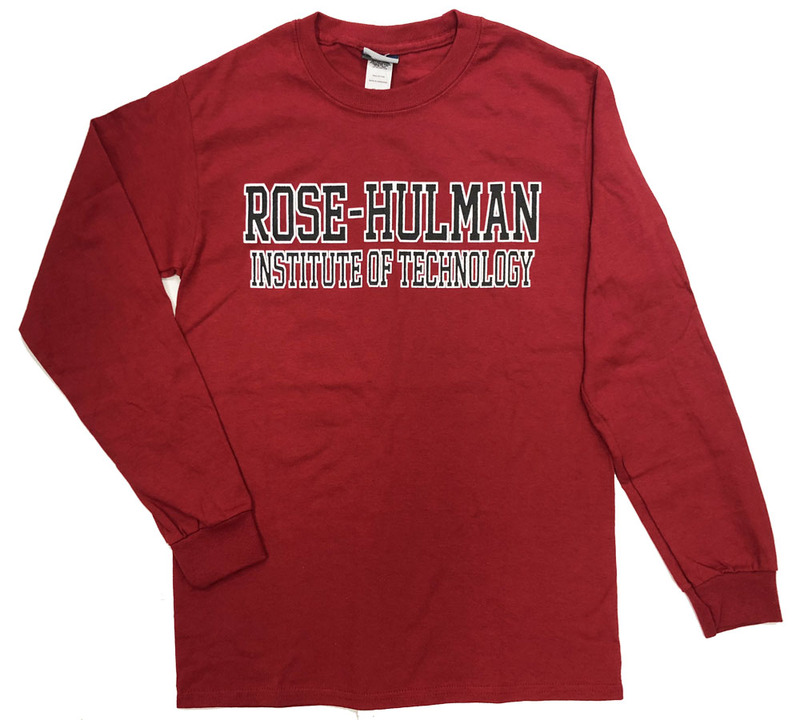 100% cotton long sleeve tee, ribbed collar with set-in sleeves and shoulder to shoulder taping. Double-needle stitching on neck and bottom hem. 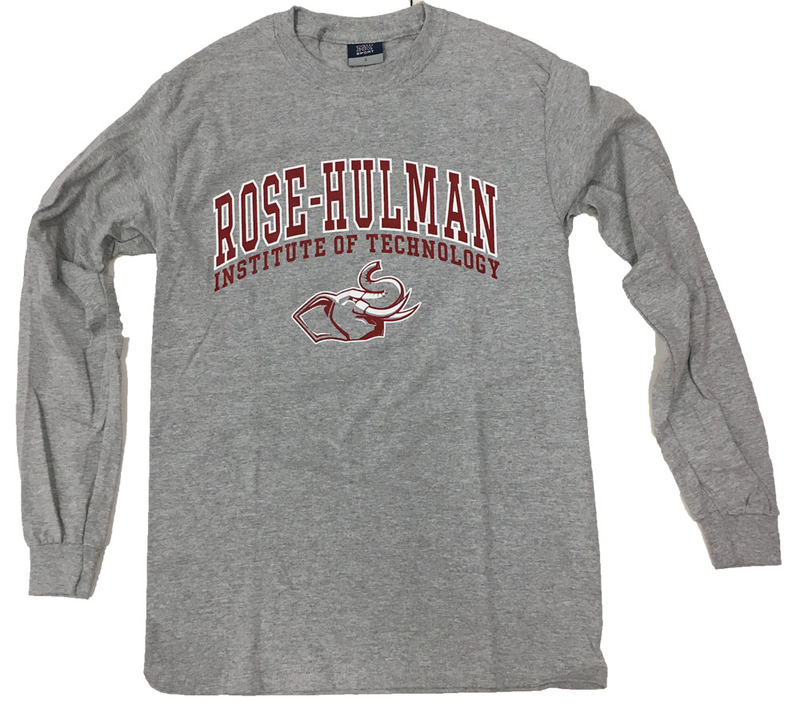 Imprinted "Rose-Hulman" over "Institute of Technology". Please select option for MV Sport Imprinted Long Sleeve T-Shirt. Please select option for MV Sport Long Sleeve T-shirt. 76% rayon/ 20% polyester / 4% Spandex make this ladies scoop neck t-shirt super soft. It will quickly become your favorite. Please select option for Ouray Long Sleeve Ladies T-Shirt. Under Armour cardinal triblend long-sleeve t-shirt. 50% polyester / 37% cotton / 13% rayon. Super soft and comfortable. 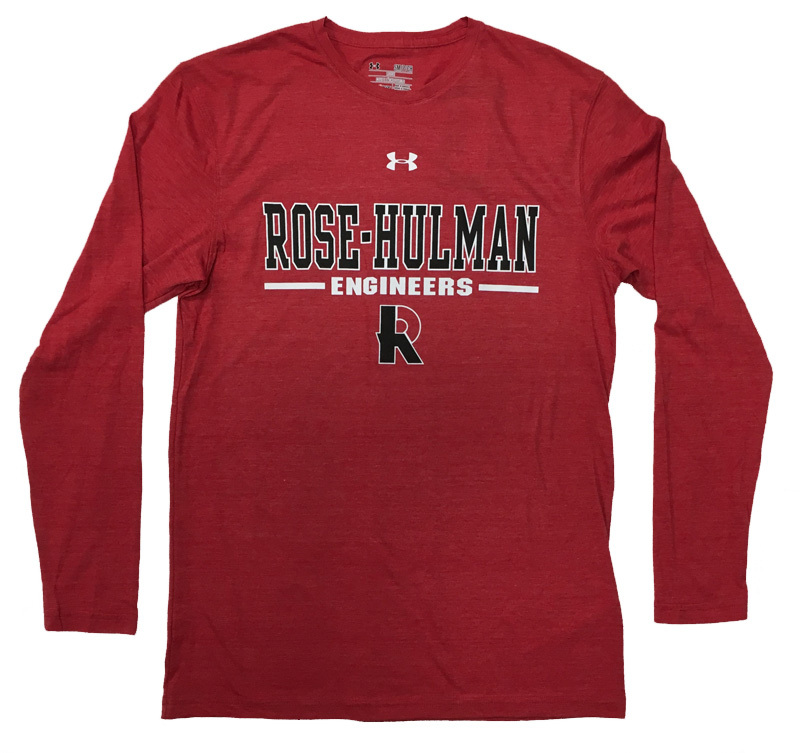 Imprinted "Rose-Hulman" over "Engineers" over two-tone "R"
Please select option for Under Armour Triblend Long-Sleeve Shirt.